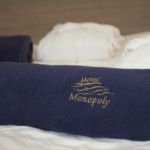 Visit us in Hotel Monopoly, a place with unique atmosphere! 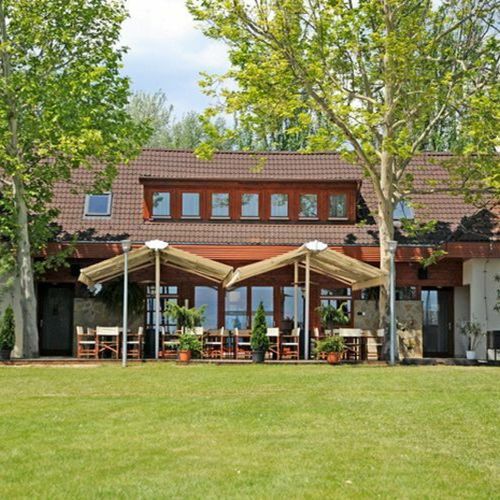 Our beach Hotel is located in Balatonalmádi, 20 km from highway M7 (600 m from the nearest railway station), on the northern beach of Balaton. Both the delightful beach promenade with its old atmosphere and the vivid city center can be reached with a five-minute walk. The Hotel’s equipment satisfies all the possible requirements. In our modern wellness department steam cabin, sauna and a special theme pool serve the Guests’ needs. 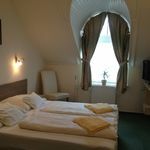 The rooms on the ground level with direct connection to the garden and the ones upstairs with air conditioning have 2-6 beds. Our apartments with 2 rooms offer our highly valued Guests special comfort and wonderful view. Our restaurant and our two separate bars offer you delicious dishes and cold drinks. The Hotel’s garden is full of old trees, bushes and flowers, so the repose of our Guests desiring to relax is granted. 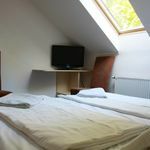 The Hotel can be the starting point for various trips and other activities. You can ask for more information about these at the reception. 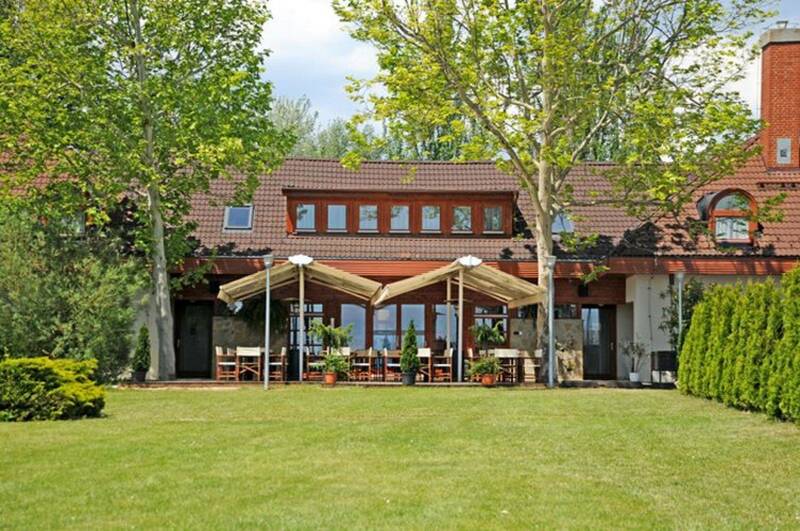 The rating of Hotel Monopoly Balatonalmádi is 8.8 from the maximum of 10, based on 303 real guest reviews. "A szoba tisztasága, a személyzet kedvessége!!!" "Csodàs panoràma, finom ételek, szépen karbantartott kert, jó beltéri medence, kényelmes megközelíthetőség és parkolás, ami ingyenes, központhoz közeli, mégis csendes, nyugodt környék." "A szobából hiányzott egy nagy tükör"